Illuminate your kitchen island or rec room pool table with this unique rustic Pine cone light. Made in the USA. 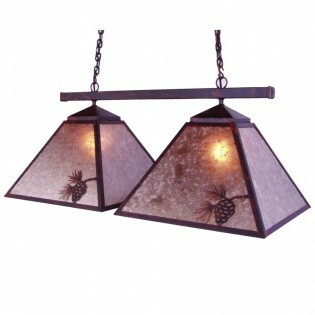 Illuminate your kitchen island or rec room pool table with our unique Pinecone Double Game Light.